Shoe Shaped Church | Taiwan. I couldn’t resist posting. Making the rounds on social media this morning is a Giant, Shiny, Shoe – Shaped Church in Taiwan that was designed to attract female worshipers and tourists. “In our planning, we want to make it a blissful, romantic avenue,” Pan Tsuei-ping, the administration’s recreation section manager, told the BBC. “The shoe was inspired by a local story. According to officials in the 1960s, a 24-year-old girl surnamed Wang from the impoverished region suffered from Blackfoot disease. Both of her legs had to be amputated, leading to the cancellation of her wedding. She remained unmarried and spent the rest of her life at a church. 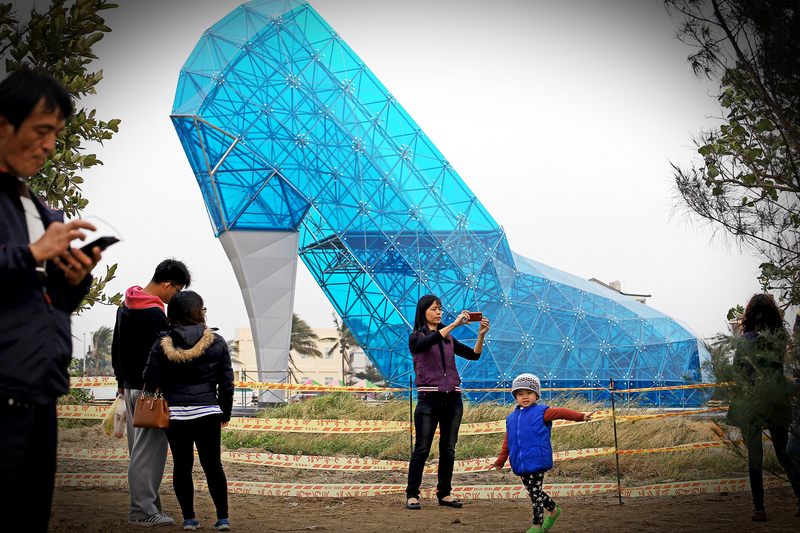 § 2 Responses to Shoe Shaped Church | Taiwan. « Dr. Martin Luther King Jr. | 1929 – 1968. You are currently reading Shoe Shaped Church | Taiwan. at Women's Footwear in America.